Plastic surgery has unfortunately developed a bad reputation with some people. It is often seen as a type of surgery that people who are pre-occupied with looks or who are vain get. However, there are many excellent reasons why people schedule different types of plastic surgery in various areas of the body. You may even discover that more than one of these reasons applies to you and that you should not feel bad about wanting to get one or more plastic surgeries. There are many reasons why your body may not look exactly how you would like it to be. For example, extreme weight loss, childbirth, and even major surgeries or birth defects can leave you feeling less confident about your image. You may have stretch marks, scars and more. Confidence in your self-image can impact your relationships, your career, and many other factors. If your appearance is causing significant issues in important areas of your life, consulting with a qualified and experienced plastic surgeon may be a great move to make. Some people have problem areas that make it difficult to fit into standard, off-the-rack clothes. The last thing you may want to do is to have all of your clothes altered or custom -made in order to enjoy a good fit. Your clothes may not fit properly if your breasts, hips, buttocks, thighs or other areas of the body are significantly larger or smaller than other areas of the body. A plastic surgeon like those at Murphy Plastic Surgery and Medical Spa may be able to help you become more comfortable with your proportions. Everything from a burn accident or car collision to surgical scars, breast removal and more can be regular reminders of the pain and trauma that you have endured. You may not want a daily reminder of this, and you may also not want to be stigmatized by others who see these physical signs on you regularly. Plastic surgery may be an effective way to remove scars, burn marks and other issues that may be stressing you out in different ways. 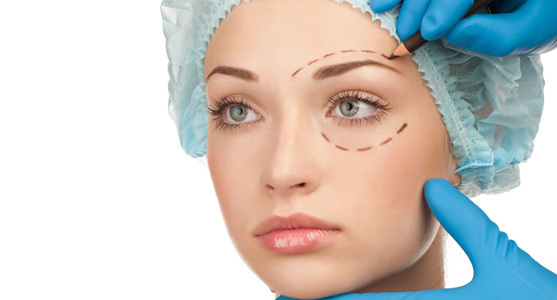 While some people will get plastic surgery just because they want to improve their beauty or to appease a partner, there are also significant and beneficial reasons to consult with a plastic surgeon. Spend time understanding the true reasons why you are interested in plastic surgery, and understand that this type of surgery can improve your life in many ways.